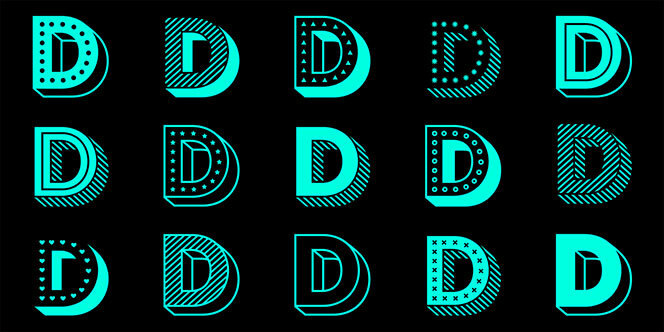 As you all know in the beginning of 2014 we published our selection of 13 awesome fonts by debut designers. It was our intent to do the same one year later as a token of support for the people who have chosen type design as their profession. However, due to the astonishing amount of exciting new fonts, released by debut type designers, we are pleased to make such a selection for the first six months of 2014 – a year that so far has been absolutely delightful for anyone, interested in fresh new typefaces. 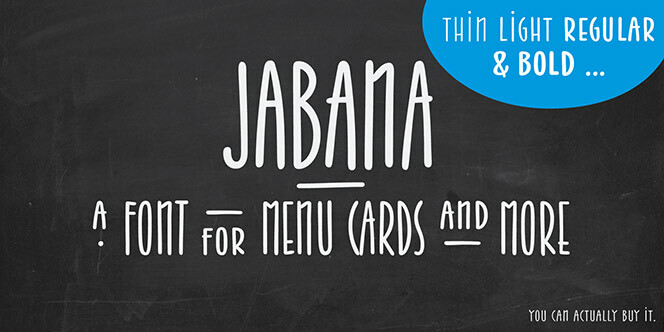 Jabana font is a smooth handwritten super condensed Sans Serif for menus, greeting cards and many other designs. It reveals a huge treasury of standard accented letters, fractions, mathematical glyphs, superiors and inferiors. You will find alternates, extra bullets, different arrows, negative figures and roman numerals. Read more. 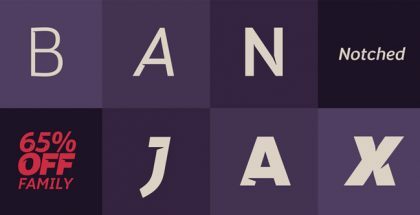 Jabana is designed by Nils Thomsen – a German type designer, captivated by graffiti since his childhood and later transformed into a sense of fascination for letter shapes. During Nils undergraduate studies at Muthesius art school Kiel, type and typography became his primary interest. For more about Nils Thomsen visit his portfolio on Behance. Pintanina font is a nice and friendly typeface featuring uppercase letters designed with artistic touch using the skeleton of condensed Sans Serif face. 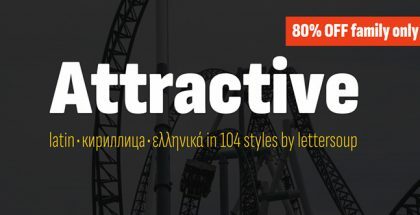 Original and diverse, Pintanina offers excellent legibility, good contrast and extended set of unique intersecting ligatures that perfectly fit in long and short texts. Pintanina is perfect for fun posters, toy packaging, artistic headlines and short brand names. 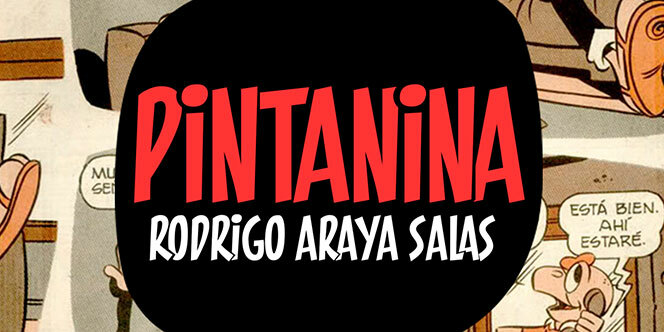 Pintanina font is designed by the young and talented designer Rodrigo Araya Salas. For more of his artistic typefaces visit rodrigotypo.com. 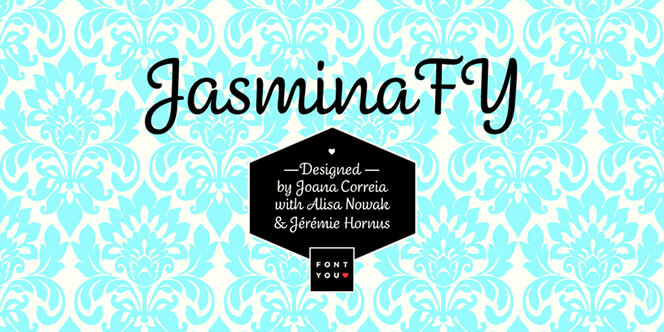 Jasmina FY font is a beautiful low-contrast script font. It is perfect choice for packaging, wedding invitations, headlines, posters and logo design. Jasmina FY was co-created by Joana and Fontyou type foundry. Read more. Joana is a freelance type designer born in Portugal. For more about Joana’s project visit joanacorreiatype.com. Kapra is a high contrast condensed sans serif font family inspired by “You & Me Monthly” magazine published in 1960 of the past Century in Poland. 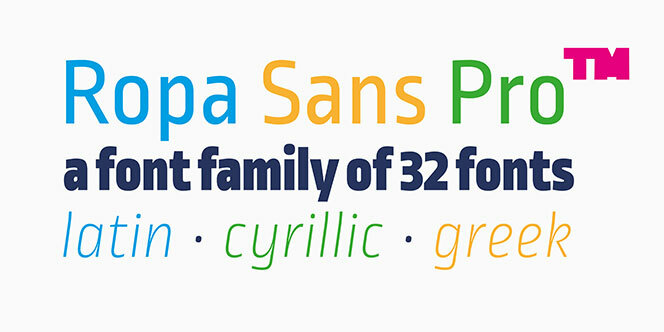 Just like its beautiful cousin, the Pekora font, Kapra carries the spirit and perfection of polish visual culture which deeply influenced West European graphic design & typography for the last five decades. Blazej Ostoja Lniski is a polish artist specializing in Lithography and Painting. 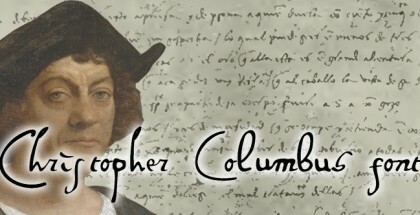 He is author of many fonts, graphic identifications, and books. 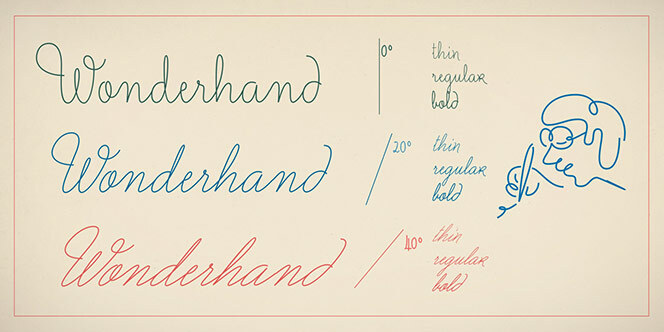 Wonderhand is a script monoline family featuring 3 separate widths each developed in 6 different weights. Original and elegant Wonderhand will give you many options for contrast and customization of your type keeping your text legible in all sizes. Excellent for wedding invitations, greeting cards and other works that need beautiful monoline handwriting. Read more. Martina Flor is a talented designer, illustrator and lettering artist from Argentina. Working now in Berlin she is a co-founder of Lettering vs Calligraphy project and creator of the Good Type workshop series. For more visit martinaflor.com. 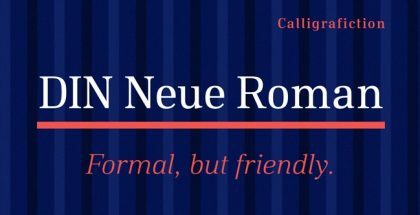 Ropa Sans Pro font is a high-tech Sans Serif typeface family consisting of 8 weights plus italics and small caps forming a plenitude of 32 fonts. It’s suitable for headlines and editorial use. In addition to an extensive coverage of Latin-based languages, Ropa Sans Pro provides essential support for the Cyrillic and Greek writing systems. Read more. Botio Nikoltchev is Bulgarian designer studied graphic and type design in Potsdam. Since 2010 he has been collaborating with Ralph du Carrois and Erik Spiekermann as type designer and art director at Carrois Type Design. More about Botio soon on lettersoup.de. 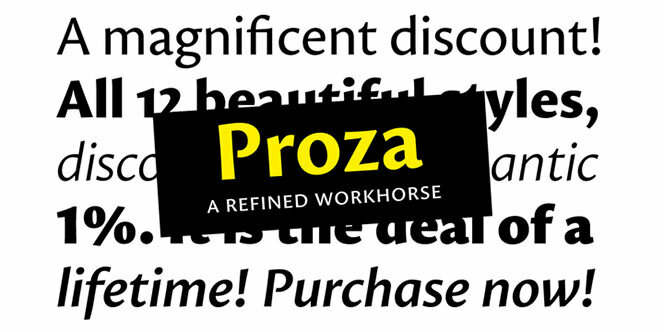 Proza font is a humanist Sans Serif typeface family which design pays homage to the best Serif calligraphic constructions from the Renaissance, such as Garamond and Jenson. It comes in 12 styles: six weights from Light to Black plus their Italics. Read more. 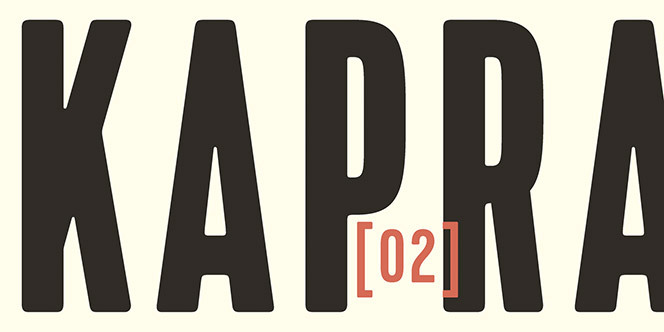 Jasper de Waard (18) is probably the youngest designer at MyFonts. For more about Jasper visit his blog. 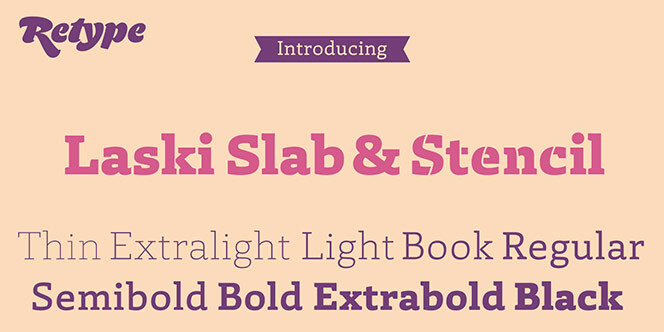 Laski Slab font family has definitely lifted the slab serif typography to a higher level. Very useful and with enhanced legibility even in high contrast outlines, Laski Slab is a desired solution for both screen and print graphics. Laski Slab by Paula Mastrangelo and Ramiro Espinoza (ReType Foundry) received a “Certificate of Excellence” at the 2014 Tipos Latinos Biennale. Read more. Paula Mastrangelo is Argentine designer living in Barcelona. The past 15 years Paula has designed or managed the media of many of the most important local and international firms operating in Spain. For more visit Paula’s blog. 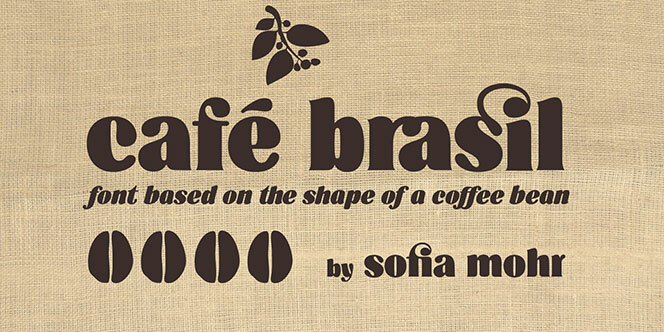 Café Brasil font is something more than just another typeface – it is a whole dedication to coffee, coffee shops, cafés and in fact to every design related with coffee. Café Brasil was chosen to be part of the main exhibition at the “Tipos Latinos 2014”. Read more. Sofia Mohr is type designer from Brasil. She works with Graphic, Web and Typography Design at her own studio. For more about her projects visit sofiamohr.com. Instant font is an interesting typography project – a type family going from thin, informal, quick handwritten letters to stable, black typographic shapes. It comes in five styles which names are reflecting the specific stroke speed and weight. Read more. 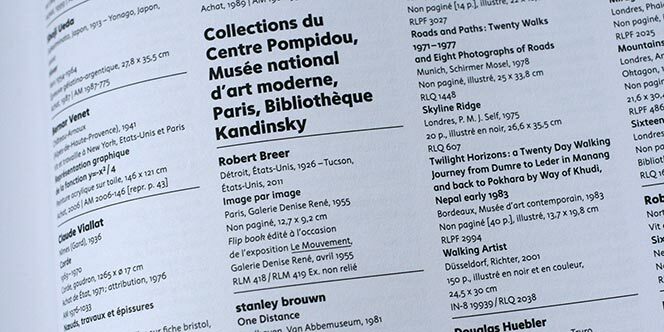 Jérôme Knebusch works in the diverse fields of typography: from artistic projects over graphic & book design to type design. He teaches graphic and type design at the Lorraine School of Fine Arts. More about Jérôme visit jeromeknebusch.net. 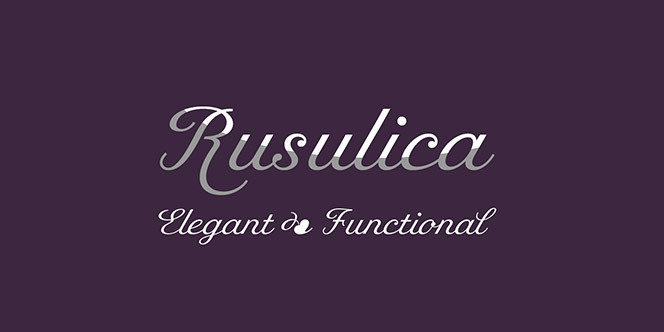 Rusulica Script is designed with the traditional for most of the scripts originality, feminine presence and perfection of letterforms combined with excellent legibility and good contrast. With a total of 490 glyphs Rusulica Script is an excellent solution for elegant invitations, intriguing brand names, attractive wine labels and packages and maybe even for logos. Read more. Marin Šantić is Slovenian designer. He is a visual communication design professional involved in branding and typography. For more about Marin visit marinsantic.com. The beautiful Abelina brush script typeface was born originally as a graduation project by the Argentine calligrapher Yani Arabena, through the solid work of Guillermo Vizzari and Sudtipos. 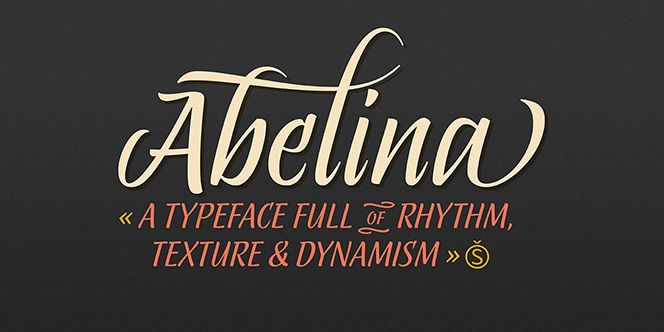 Abelina typeface family has fresh, distinctive and elegant visual presence. Find more from Yani and Guille at yaniguille.com. The next 3 fonts deeply impressed us – designed by young Czech typographers they are all part of Bestsellers project aiming to prove that it is really possible to program a successful typeface. 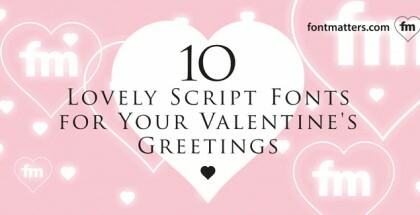 Rukola font is a playful friendly brush script. Standing very close to sign-painters’ script traditions Rukola has a lot of character and individuality to show – original letterforms, good contrast, expressive contemporary look. Read more. 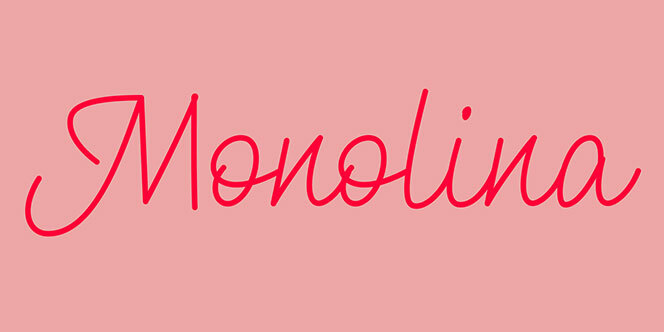 Monolina font is a modern monolinear font that offers many contemporary features to its users. One interesting fact about Monolina font is that it is based on the contrast between quickly written manuscript (sketches) and classical calligraphy. Read more. Clown font is probably the biggest multi-layer family we have ever seen. With the remarkable 18 different styles, Clown offers a mind-breaking number of combinations – nearly 150 according to font description. Read more. Banner font – Ride my Bike Serif Pro font. Special thanks to Coto Mendoza.